With the new model year, Hyundai returns again, with perhaps it’s most ambitious and interestingly designed model yet – the 2019 Hyundai Veloster Turbo. The Veloster has always appeared an oddity in the auto-world, with three doors it is hard to say if the Veloster is a coupe, sedan, or more likely some sort of a hybrid hothatch, a.k.a. speedy hatch back. No matter what it is, you’re sure to gain some second glances as no other car quite looks like the Veloster. Although the latest model hasn’t seen any major design changes, the 2019 Veloster keeps its relatively short front and especially long, slow-sloping, roof. 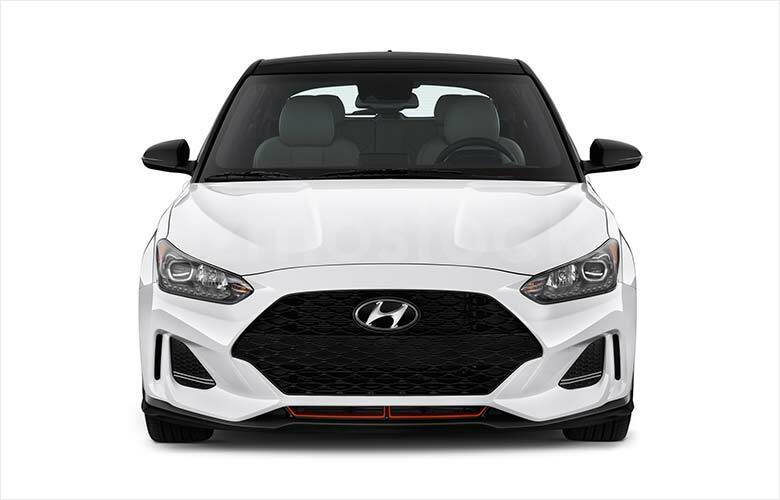 The front of the 2019 Veloster is mostly innocuous except for some red accents at the bottom of the front grille (that may or may not resemble buck-teeth). 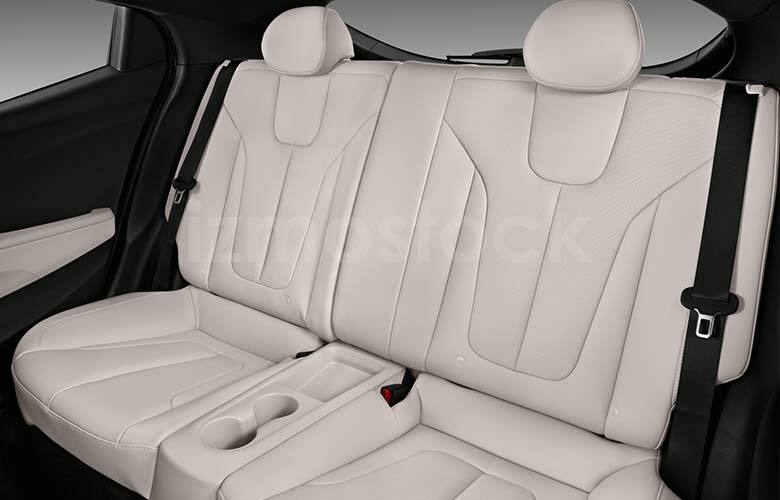 Some external quirks (due to the 3-door design) include all doors being different shapes and sizes and obviously limited options for entering the rear seat, though the driver seat does have a release for a passenger to squeeze through. 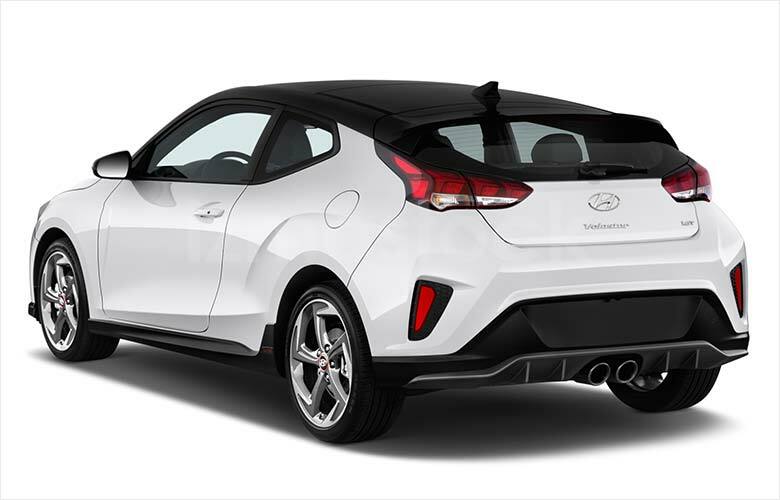 The rear of the Veloster is unexpectedly wide and sportier than ever. With two centralized exhaust ports and a slightly tricked out aerodynamic undercarriage guard, the Veloster comes out clean and a bit more refined compared to older models. 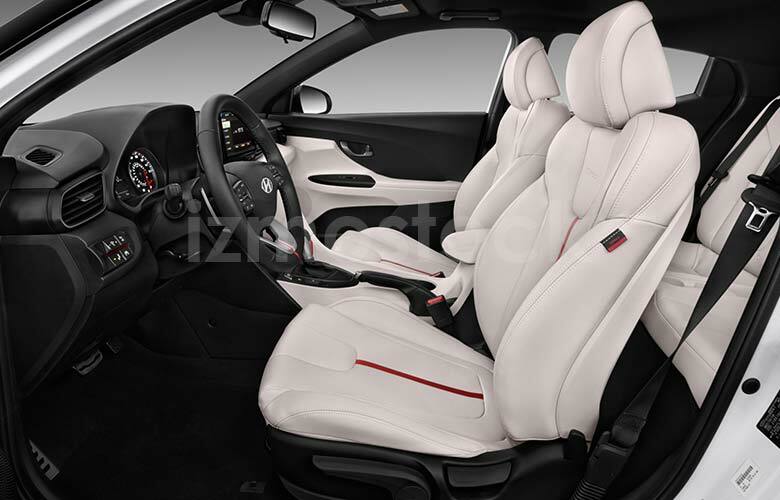 The interior has also seen some new additions with colorful trim accents, optional leather seating, retracting heads-up display, and a well-integrated infotainment system with Apple and Android compatibility. 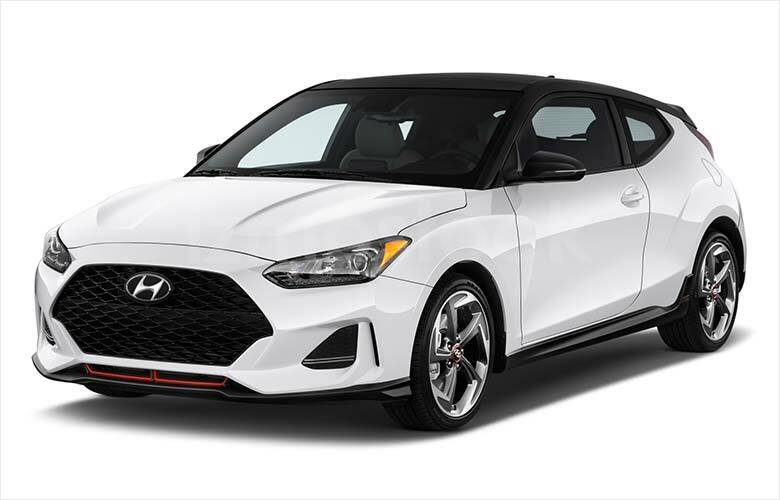 The 2019 Hyundai Veloster has seen many improvements both outward and inward and deserves a look for anyone considering a flashy and unique vehicle. For more high res. 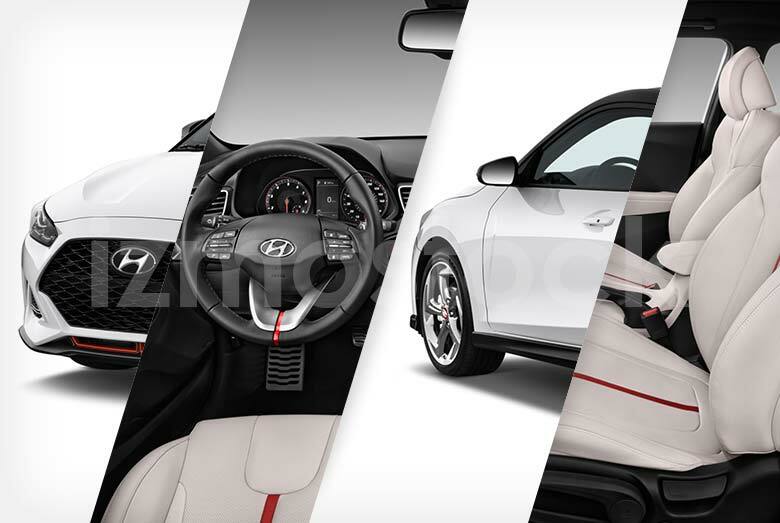 Images of the 2019 Hyundai Veloster Turbo, Contact Us.